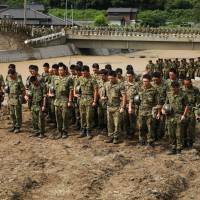 A reset for Abe's constitutional revision agenda? Prime Minister Shinzo Abe is in the throes of a political emergency due to the thrashing he and his Liberal Democratic Party endured in the recent Tokyo elections. He is now in damage-control mode, but it will take something huge to distract voters from the malodorous cloud of scandals that clings to Abe and his cronies. Given his long record of broken promises and unrealized goals, collective amnesia is his best bet for regaining voters’ trust. Abe’s nightmare scenario is his being bundled out of power before he can achieve his long-standing dream of revising the Constitution. The sudden implosion in Abe’s popularity has significant consequences for his agenda of constitutional revision, because with the tide turning against him, it will be extremely difficult to win the required majority in a national referendum needed for any revision to pass. He may be able to muster the two-thirds support in both houses of the Diet to trigger that vote, but without winning the referendum itself, it will be all for naught. Abe is a man in a hurry, having instructed colleagues in the LDP to come up with proposals for revising Japan’s 1947 Constitution by the end of the year with a 2020 deadline for enacting revisions, but now he faces internal resistance. In May, he told the Yomiuri Shimbun that he favored adding a clause to war-renouncing Article 9 specifying that the nation’s Self-Defense Forces are constitutional, and a revision to make higher education free. But in the past, Abe has made no secret of greater ambitions to overhaul the Constitution that involve reducing civil liberties and increasing duties and obligations in ways that he believes reflect Japanese traditions and values. Fundamentally, Abe views the 1947 Constitution as an alien document written by Americans and imposed on Japan, and as such a humiliating reminder of defeat in war and subsequent subordination. Back in 1946, the U.S. Occupation authorities rejected a Japanese draft constitution written by legal scholar Joji Matsumoto because it only tinkered with the prewar Meiji Constitution. There was a consensus in the U.S. government that the Meiji Constitution was flawed and a key factor that had facilitated Japan’s regional rampage from 1931 to 1945. Mindful that Germany had instigated two world wars, the U.S. wanted a totally different constitution to help avert another war in the Pacific. As Georgetown University’s Carl F. Goodman wrote recently in the Washington International Law Journal, the U.S. government believed that “the constitution that Japan needed was not one that could be interpreted to allow for individual rights and a democratic representative form of government; it was one that required a representative democracy and recognition of basic human rights.” The U.S. wanted a constitution that promoted gender equality, civil liberties such as the freedom of thought and expression, and curbs on state powers. This is precisely what was lacking in the Meiji Constitution, and indeed the LDP’s 2012 draft constitution. Goodman notes that the Matsumoto draft was also unacceptable to the Japanese people, drawing strong domestic criticism at the time. The Japanese people also wanted a constitution that protected individual rights, and thus it is a right-wing myth that the 1947 Constitution was foisted on Japan against the will of the nation. There were attempts by Japanese officials to sneak language into the translated version that would have subordinated constitutional rights to legislation, but these were caught and rejected. The Japanese government also revised the American draft before it was approved by the elected representatives of the people in the Diet. Article 9 was written by the U.S. 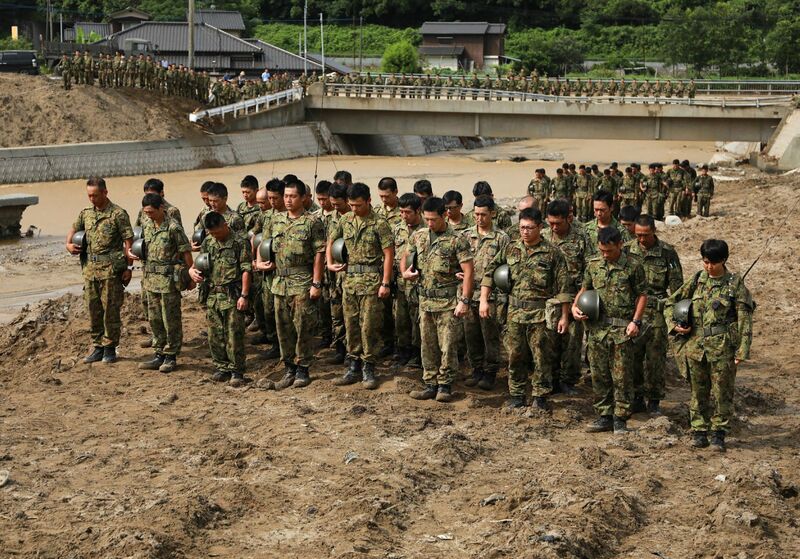 Occupation authorities to ensure that Japan would renounce war and not maintain armed forces. However, successive reinterpretations of Article 9 and court rulings have significantly eased constitutional constraints to the point that Japan now boasts a modern military with about 240,000 troops and the world’s eighth-largest military budget. Abe finds it unacceptable that constitutional scholars still debate the constitutionality of the SDF, and thus he wants to clarify its status by amendment. However, he has danced away from the far thornier issue of amending the Constitution to allow for collective self-defense (CSD), instead enabling that by Cabinet declaration in 2014 and then enacting relevant legislation in 2015. This backdoor revision bypassed constitutional procedures. Since almost all of Japan’s constitutional scholars still think that CSD is unconstitutional, and this is far more controversial than the status of the SDF, it would seem reasonable for Abe to propose an amendment to Article 9 to explicitly endorse CSD. But Abe understands that this would provoke a strong public backlash in ways that affirming the constitutionality of the SDF would not, thereby endangering his agenda of revising the Constitution at all, since opponents would probably prevail in a referendum. Following the Tokyo election debacle, Abe may refocus efforts to add a constitutional amendment that would allow the prime minister to declare a state of emergency, because unlike Article 9, this is not such a polarizing issue. Such emergency powers would limit rights and ignore the separation of powers now enshrined in the Japanese Constitution, a principle that is not subject to judicial review. There is no clear need for such emergency powers, nor for rule by Cabinet decree that abrogates the Diet’s power. Similar to Abe’s new conspiracy legislation, a state of emergency could be declared to stifle dissent and freedom of expression, thus rendering Japanese democracy vulnerable to nefarious machinations on the pretext of making it safe.